Refunds are not available for downloadable products. It is your responsbility to back up downloads. Musicademy cannot be liable for computer hard drive failure or any other loss to your download after having purchased it. 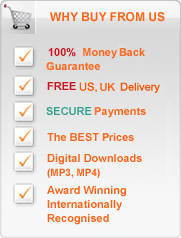 If you require Musicademy to replace a downloadable file, an admin charge will apply. Please note that at present our downloadable lessons are not able to download directly onto Ipads/Iphones. They will download onto android devices. We recommend using Google Chrome or Firefox as your browser when downloading lessons. These terms and conditions form a legally binding contract between us and you. Your acceptance of the terms and conditions is given when you purchase goods from us. You should read these terms and conditions carefully before buying anything from this website. Please note that agreeing to our terms and conditions as part of the account creation process will result in your email address joining our mailing list. We do not sell this to third parties and you can unsubscribe at any time.